Visit the "MiniWorld Paper Toys" web site at this address for some photos tutorials on how to use these. 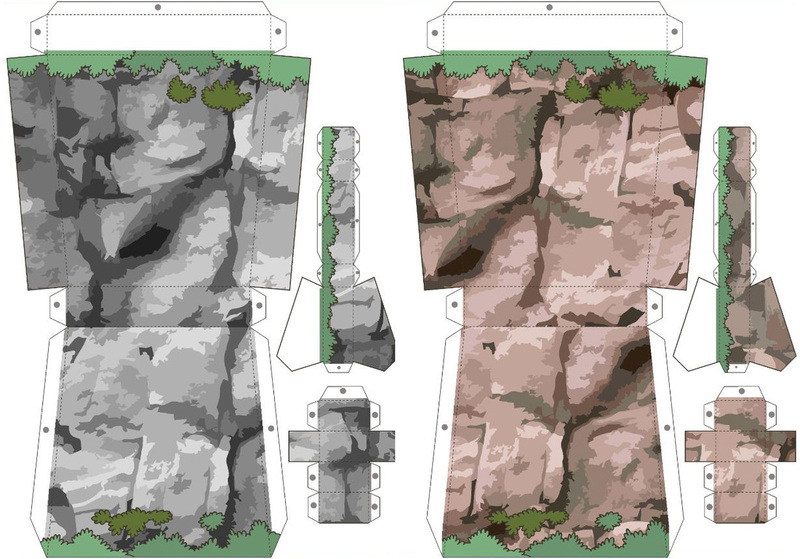 Download these to create a variety of rocks and cliffs formations. You can download these in two different color textures: grey or brown. After downloading these files, you can print certain pages several times if you wish to have a greater number of parts to use. 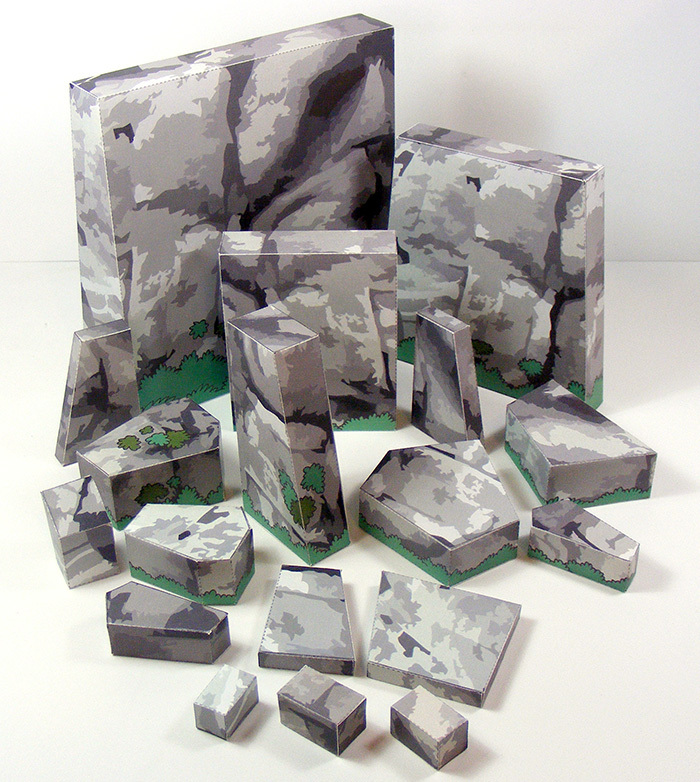 Then cut and assemble them to create some new MiniWorld scenery to add to your other sets.